4. Place the mozzarella pieces on with a teaspoon of pesto and topped off with a slice of tomato and brush the edges with the egg. Cover with another square of dough and press the sides with a fork to join the two together. 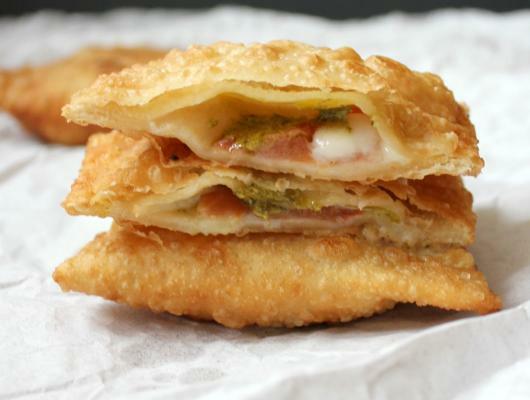 A traditional Brazilian snack with a caprese style filling. 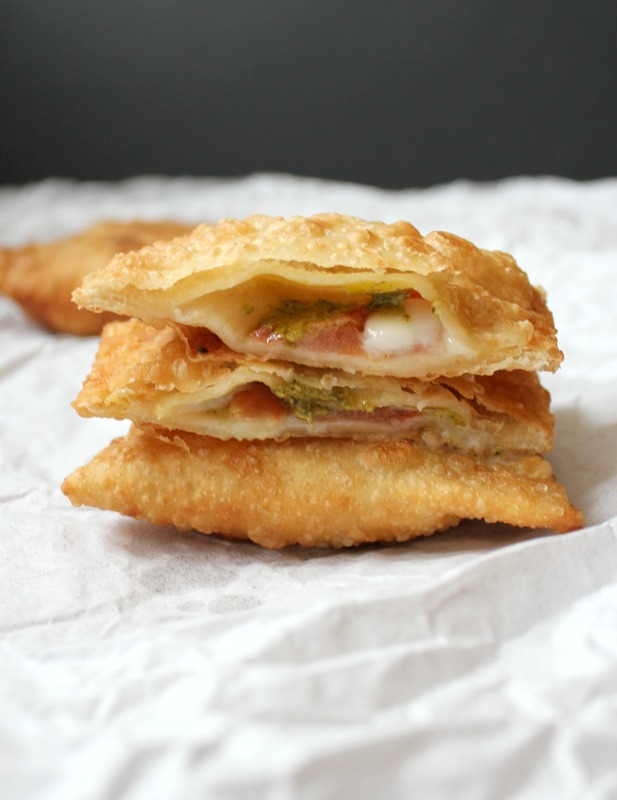 Light pastry, fried with mozzarella, pesto and tomato.